Industrial cable assemblies must be as dependable as every part of the equipment they control. To minimize downtime, maximize ROI and manage your operations, you need a cabling system that provides complete control and provides the right data at the right time. We deal in all types of Induatrial and commercial cable. 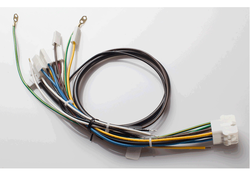 We are leading Wire Cable Harness manufacturing i.e. Power Control Products, Switchgears, Control Panels, Elevators in Gujarat, India. Cable Assemblies are extensively used for varied industrial purposes. 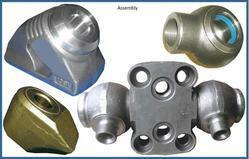 We Offer clusters for automobile industry’s associated machinery and for related engineering applications as well. Available in a range of lengths and diameters, these cables and assemblies perfectly meet the client’s requirements. Our association is broadly known for maintaining the quality in offering Black Cable Wire.